I'm pretty sure some people are having the same problem as mine: cracked lips. I have the habit on biting off the skin and taste the blood. I will get addicted to it and start to peel of bite off every part of the skin on my lips. The very next morning when I woke up and found my lips covered with dried blood. It was ugly and I decided to use lip balm to moisture my lips. I always wanted my lips to be like this! So smoochie and chewy! I heard of the Maybelline Baby Lips series for some time but I never really bother them. I thought they were just the same lip balm with cute packaging. Till then, I came across of a Youtube Vblogger: Macbarbie has a beautiful lips wtf. Apparently she's using the Maybelline Baby Lips Fruit Peach. So I made my decision to buy it and here it is, a Smoothing Cherry cented lip balm. The Maybelline Baby Lips is available in 4 flavours and colourless lip balms. I prefer the packaging and variety of flavours provided by other countries though. They also come with tinted colour lip balm leh. Malaysia, Y U NO bring these tinted lip balms in? I love how the lip balm nourishes my lips. I do believe on the 8 hours moisture because I put it on before I sleep and the lips still moisture for some reason. I do feel my lips are somehow softer but have yet to see my fine lips are reducing. 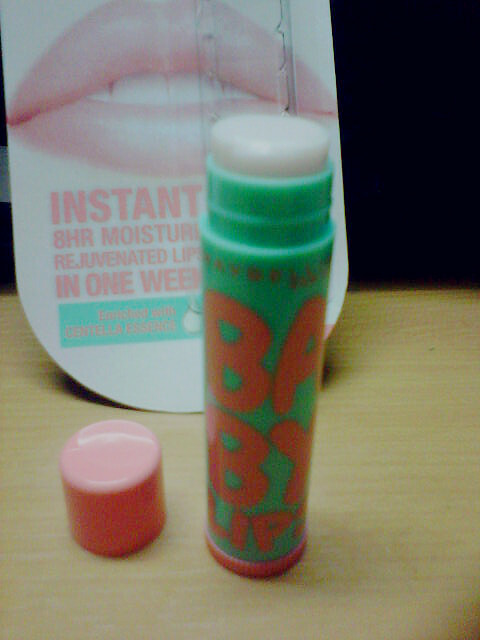 As for the scent, I must say it is the best among my lip balms. The mild sweetness of the cherry scent makes me want to bite my lips even more. K la, I'm just joking. I love scented lip balms and the cherry scent is up to my expectation. There are some lip balms out there have overdose sweetness and I don't like them. Nevertheless, the packaging is so damn cute! I don't like pink stuff but this Smoothing Cherry Lip Blam has cute baby pink color. It doesn't feel too oily or greasy on the lips. The most important thing is, it's only RM 8.70 leh. Normally it would cost RM 10.90 but I got it in Watsons with discounted price. Cheap! 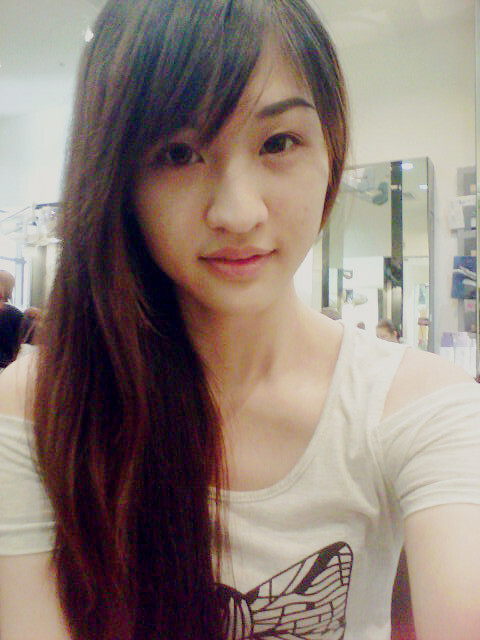 Signing off with a selca photo. Disclaimer: This is not a sponsored review. I bought the product on my own. i love lip balms!! 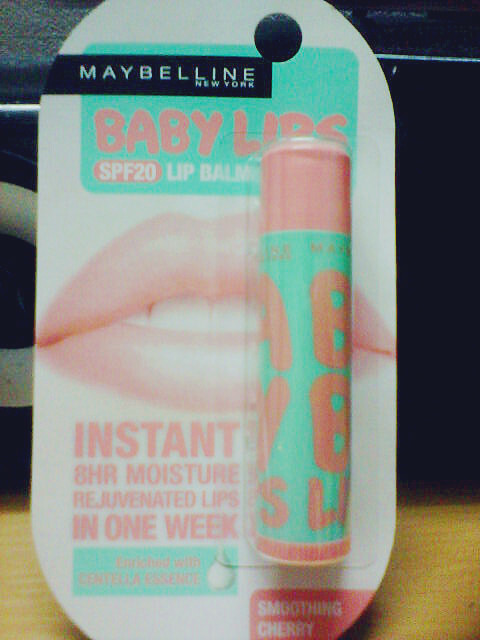 gonna try this out when my lip smackers finish :D thanks for the review! It's not my lipsss LOLOLOL.